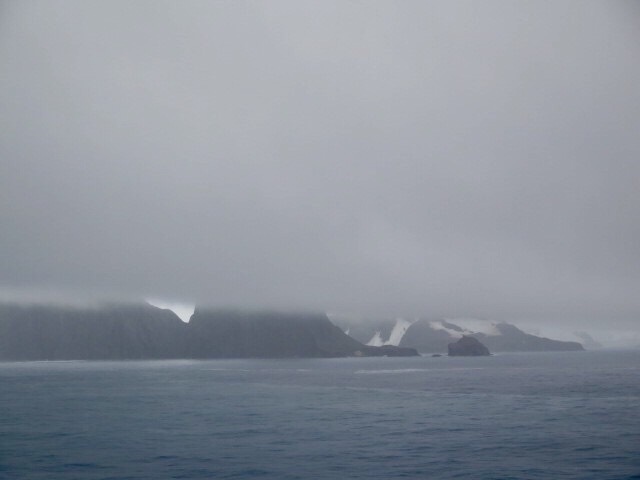 Following Shackleton | So Many Exciting and Beautiful Places! Whales and penguins over breakfast – yes! Shackleton and his crew of 28 set sail from South Georgia Island in December, 1914, the beginning of summer in Antarctica. 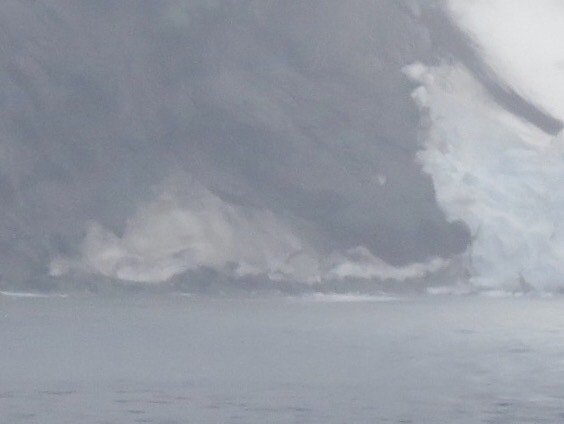 Unfortunately, they ran into pack-ice just a day’s journey from land on Antarctica. They were soon solidly iced in, and remained there for about 10 months until the Endurance was toppled by the ice and ultimately crushed. There was no hope except to retrieve their provisions from the ship, load up their sledsand lifeboats, and tow all toward open water. This took over five months. 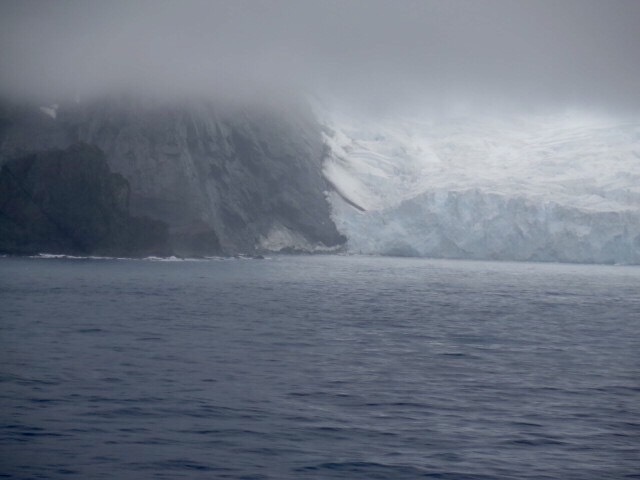 They then entered the water and sailed three lifeboats to Elephant Island, where they set up camp at Camp Wild in Cape Valentine, with no food sources except penguins and seaweed or kelp. Shackleton was aware that there would probably be no ships passing near until the following summer, so he and five crew members decided to take one of the lifeboats to South Georgia Island where there were whaling stations. South Georgia was almost 800 miles away; the sun was only visible 3 days during this trip (necessary for calculating direction;) and yet they reached the island after 11 days, starving and thirsty. They landed near a fresh water stream, and located some (delicious) albatross hatchlings to eat. Unfortunately, they landed on the wrong side of the island, and had to hike 21 miles over the ice covered mountains to reach a whaling station. Even then, it took three attempts to reach the crew who were still on Elephant Island. In spite of tremendous odds, Ernest Shackleton managed to bring all of his men home. For me, he is the epitome of a hero, a leader to be emulated. I had read “Endurance,” by Frank Worsley, probably about 17 years ago, and I was very impressed with Shackleton’s story. I really didn’t comprehend the difficulties they faced until I could actually see the desolate, ice covered, islands here in Antarctica. I’ve ordered another copy of the book to read again. The sun came out, yet again, so amazing. The waves are a little higher today, but who cares if we have sun? 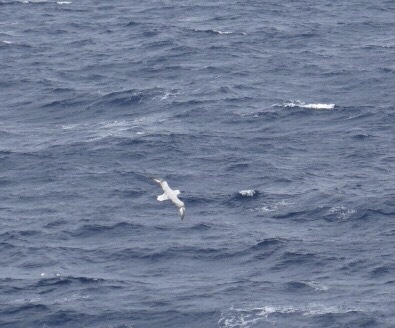 We saw whales and penguins at breakfast, and fishing birds this afternoon. What a day! We’re so lucky to have this experience. This entry was posted in Antarctica and tagged Elephant Island, Ernest Shackleton, South Georgia Island. Bookmark the permalink. What an incredible story–I just reserved it at the library and am looking forward to digging in. Thank you for the recommendation! Great story Kathleen and nicely told. Thanks.